Welcome to J. Christopher’s Pizza-Pasta! 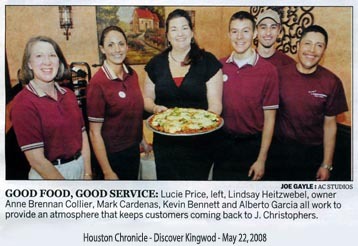 Established in 1980, J. Christopher’s has been providing the Kingwood and surrounding communities with delicious homemade pizza, pasta and sauces. 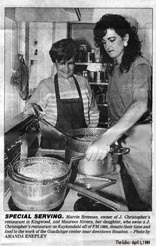 John and Marcie Brennan opened J Christopher’s in February of 1980 as Kingwood’s first family restaurant. Although we completely ran out of food that first night Kingwoodians were supportive and still are more than 39 years later. Customers have celebrated birthdays, become engaged, celebrated anniversaries and have even met their spouse while working here. 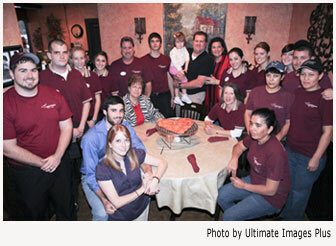 For nearly four decades they have celebrated life’s occasions at J. Christopher’s and continue to do so today. 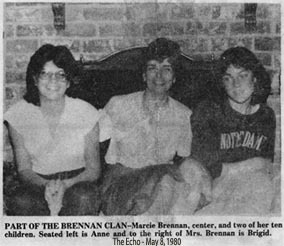 In 2007 John and Marcie’s daughter, Anne Brennan-Collier, purchased the store from Marcie so she could retire. Together with her husband, Coby, Anne operated the store for 6 years. Then in April 2013, Anne and Coby sold the store to the Swift family (Mike, Adriana and daughters Stephanie and Alexandra) who continues to operate the store in the same family friendly manner. We thank you for your continued support and strive to give you the freshest food, friendliest service and forever memorable experiences. If we can serve you better, please let us know. If you love our place please tell your family and friends.